Community support is fundamental to our work. With no government funding, we rely on donations from the generosity of the community to raise funds to cover our life saving work. With approximately 400 cats and kittens in care at any one time, and multiple community cat projects in the pipeline, a regular pledge to Cheltenham Cat Rescue can assist us make ends meet. It also helps us to plan for the future. $10 In by a whisker – Enables us to purchase medical supplies. 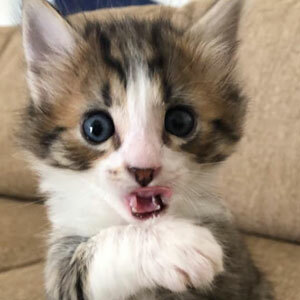 $29 Put your paws up – We can support a litter of kittens with vaccinations, flea & worm treatments. $42 Feelin’ like family – Keep a furkid family safe until they are ready to be adopted. You will also receive *CCR Colony’ member specials. $65 Medicate and rescue – Ensures we can look after injuries, surgeries and long vet stays. You too, will receive *CCR Colony’ member specials. $90 From head to tail – Donations at this level are vital as they allow us to strategically plan our continued growth. And you receive *CCR Colony’ member specials too. *For recurring donations only; CCR Colony member specials include a 2020 calendar (available Nov.2019 approx.) and 10% off our entire range of cat merchandise in our shop. At any given time we have over 400 cats in foster care. For every single cat we pay upward of $200 for desexing, vaccination and microchipping – not to mention any other medical issues that may need attention. Our foster carers cover day-to-day costs, but we make no money from adoption fees. Please help us to help them! Luke likes to run. Luke also has 5 cats. Combining Luke’s love of running and cats, Luke is raising $500 for Cheltenham Cat Rescue. 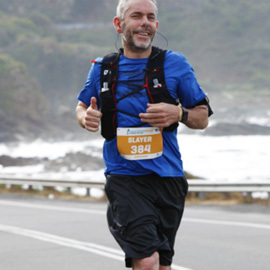 Luke is running the Great Ocean Road Ultra Marathon (60km) on Sunday 19 May. Help Luke, help CCR! Donate to help us, help them! Vet treatment is our biggest expense, so your donation is greatly appreciated. 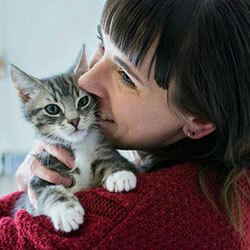 If you’re an animal lover and just can’t imagine life without your feline friend, help save another by donating today. Donations over $2 are tax deductible as Cheltenham Cat Rescue is an ACNC registered charity (ABN 41308 822 305). Are my details safe online? Absolutely! See the green padlock and HTTPS in your browser’s address bar; our website is secure, so your information is protected. And we will never share or pass on your details to another group or organisation. Yes, you will receive an awesome email receipt. Your tax agent will be envious! Can I manage my recurring donations? Yes, you can manage, update or cancel your recurring donations, and view your donation history. Can I donate another way?